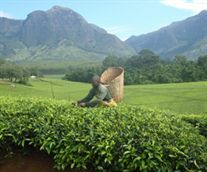 Tetley wants suppliers on a tea estate in Malawi to communicate directly to its customers via Facebook to raise the profile of its sustainability work. The Tetley brand, owned by Tata Global Beverages, is promoting a Malawian tea producing community‘s progress towards becoming Rainforest Alliance Certified (RAC). The tea maker has picked workers on the Lujeri tea estates in Malawi to communicate via the Facebook page and hopes all its estates will get the same opportunity as it moves towards RAC accreditation. Tea farmers and estate workers have been trained to use phones and cameras provided by Tetley. They will upload text messages, photographs and video clips to the Facebook page, and consumers will be able to communicate with workers via the site. Lujeri is made up of four estates – Lujeri, Bloomfield, Sayama and Nchima – and 6,000 smallhold farmers. This year Nchima and all the smallholders are working towards certification. The other estates are already certified. Rainforest Alliance certification means farms must meet the standards of the Sustainable Agriculture Network which covers workers’ rights and safety, wildlife protection, water and soil conservation, agrochemical reduction and decent housing. The group plans to have 30 per cent of its Tetley tea blend sourced from RAC tea estates by April, when Tetley Tea sourced from RAC farms will be on UK supermarket shelves. Tata Global Beverages includes brands such as Tetley and Tata Tea. The Tetley Group was purchased by Tata Tea in 2000.